It couldn’t have lasted—a flame burning twice as bright, and so on. 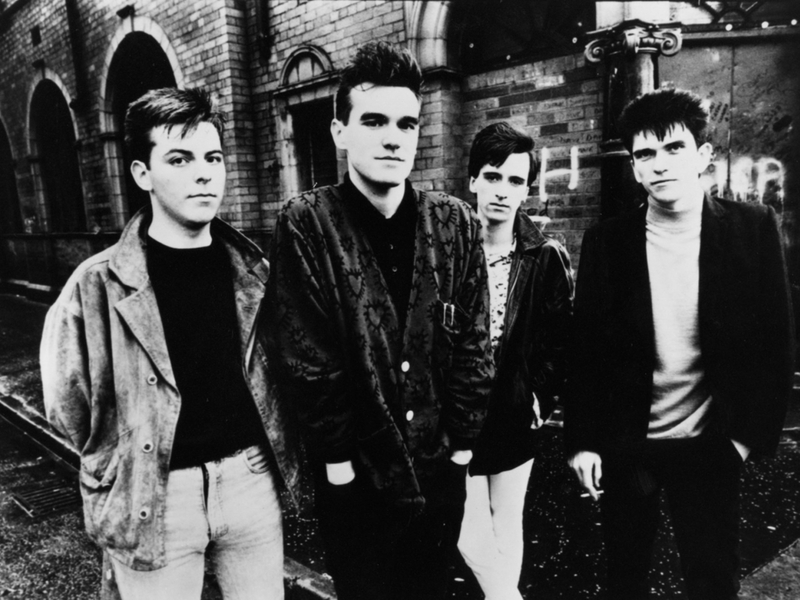 One of the best bands to emerge from the explosion of British new wave and post-punk in the 1980s, The Smiths built a template for thousands of mope-rock bands who followed. Longstanding animosity has meant that their brief time together contains their total legacy. No reunion shows or albums—despite rumors over the decades since they broke up in 1987; no ersatz version of the band, missing key members but limping ever on. Live albums, compilations, and box sets may have appeared over the years, but they all contain music written, played, and recorded between 1982 and 1987, a period during which the songwriting duo of Morrissey and Marr had as much creative energy and purpose as any of the famous songwriting duos of twenty years earlier. Love them or hate them—there seem to be few people in-between—The Smiths’ importance to alternative and indie rock is inescapable. Like many other hugely influential bands in popular music, the mythology can eclipse the complexities. Unmentioned in many a glowing account, for example, are the unsung onetime-members who played bass or guitar at points in the band’s short life—most significantly guitarist Craig Gannon, sometimes called the “fifth Smith.” Gannon played on such seminal hits as “Ask” and “Panic” before being let go from the band before they played their final concert, an Artists Against Apartheid benefit at London’s Brixton Academy on December 12th, 1986. See it above in a fan-recorded video. Delayed after Marr was in a car accident, the concert shows them back to their core four lineup, reunited with fired, then rehired (then arrested) bass player, Andy Rourke. They play “Shoplifters of the World Unite” from their upcoming final album, 1987’s Strangeways, Here We Come; they play The Queen is Dead’s “Some Girls Are Bigger Than Others” for the first, and last, time live onstage; they end the night where they began, with their very first single, “Hand in Glove.” No one knew at the time that it would be their last gig, including the band. They continued on for the next few months, recording, making TV appearances, and pondering a major label move. Differences personal, legal, and creative soon drove the four members apart. They have all continued to contribute significantly to the direction of alternative rock, as supporting players, superstar indie guitarists, and, well, Morrissey. We might wish for a more polished document of their last show, but so it is. Fans are extremely unlikely to ever get chance to see it happen again. “Yes, time can heal,” wrote Morrissey in his often embittered autobiography. “But it can also disfigure. And surviving the Smiths is not something that should be attempted twice.” We should count ourselves lucky—those of us in the love-the-Smiths camp—that they survived as long as they did, producing jangly, gorgeous, snide, maudlin, and morbidly hilarious indie-pop gems from the very beginning to the very end of their maybe-perfectly-concise career. I still kick myself for not appreciating The Smiths when they were still a going concern. One of my brothers Eric became a fan in about ’84 or so. Still, they would have broken up anyway. Or would they have had they known I was a fan? Doubtful. Who is this ‘we’ to which you refer, Mr. Snell? Hang on. Mozilla killed off Firefox Live Bookmarks, RSS, legacy extension ecosystem & other bits but kept Flash around until … tomorrow-ish? If they’d killed Flash first, could I still have some of the things I liked? The side of our refrigerator is reserved for special mementos. I’m staring at it right now as I type: There’s a Polaroid of my now-wife and myself in our early days of dating, a photograph with our two-year-old at the beach last summer, there are food-themed novelty magnets from cities we traveled to over the years. Oh, I also see my health insurance card that I need to put back in my wallet. But, for the most part, important mile markers from our lives, memorable and flat enough to attach onto a fridge. Curious enough, there’s a 8 1/2-by-11 sheet of paper on our fridge since 2010. Looking at it conjures a warm memory–it comes from a man I met nine years ago for one afternoon. His name is Lake E. High, a wonderful name of a wonderful man who met up with me in Columbia, South Carolina. At that time, High was president of the South Carolina Barbecue Association (he stepped down from the position this past July and is now president emeritus), and he agreed to show this Chicago newspaper reporter and barbecue neophyte the delicious foods of his home state. I was young then, inexperienced in the food traditions of the American South. I told High I had tried pimento cheese for the first time only days earlier in Shelby, North Carolina at Bridges Barbecue Lodge. And with that cue, High launched into a 20-minute monologue about the particulars of pimento cheese. I sat listening to him, entranced that pimento cheese could yield 20 minutes of soliloquy. > I gave this recipe to a friend who thought mine was the best he had ever had so he took the recipe and went out and bought some Piggly Wiggly sharp cheddar used the Hellmann’s mayonnaise his wife likes and had in the fridge. He was dumbfounded that it didn’t taste anything like mine and he said it was awful. I gave him a short lecture and had him re-read the recipe. I don’t know if using a different mayonnaise, or withholding the sugar, would make a taste difference that my palate could discern. But I also haven’t been consuming pimento cheese my entire life. And so I defer to the sage wisdom of Lake E. High, a gracious man who forever changed my worldview on pimento cheese. This is the only way I’ve made it, and the only way I’ll make it going forward. It’s absolutely delicious. That itself earns a place on our fridge forever. Grate cheese into a bowl. Drain one small jar of pimentos and place onto plate. Mash with a fork into tiny pieces. Add cheese and pimentos into bowl, then add Duke’s mayonnaise to desired consistency. Add 1/2 teaspoon sugar and mix. Blacken the top of the cheese mixture with fresh ground black pepper, then stir it all up. Postscript: I e-mailed Lake E. High while writing this, asking for permission to reprint his recipe here. He graciously said yes, and added, “I tell people about your comment, ‘Pimento cheese has changed my life’ to much enjoyment.” He’s right. Outside of inside of olives, I don’t know if I experienced pimentos much. Luckily I have two sisters, a brother, their families, and a mom to whom pimento cheese is a way of life. I can’t say that I am a fan, but based off of this recipe I can see why I am not – that is a small amount of pepper (the pimentos, TIL) and black pepper to counter the sharpness of the cheddar. The sugar might not be best to cut the cheese sharpness – maybe lemon juice? The recipe misses the mayonnaise completely I presume at least 50% in volume to the total (UPDATE: They added it in and I reflected it above); I subscribe to the use of Duke’s in lieu of Japanese Kewpie mayonnaise. Who thought a re-imagining of “Here Comes The Bride” would make a good reggae song?